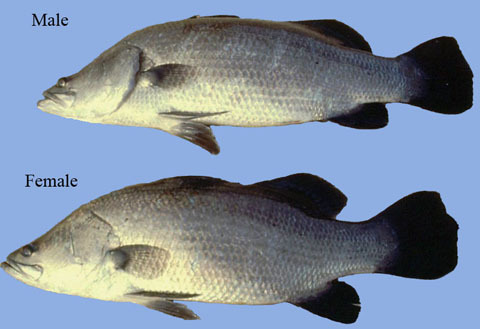 The Asian seabass (Lates calcarifer) known as "Kaalangi" or "Narimeen" in Kerala is an important candidate finfish species for farming. Seabass is a euryhaline fish, growing rapidly up to 3-5 kg within a growing period of 2-3 years in both freshwater and brackishwater environments. For maturation and spawning it migrates to the sea while the postlarvae and juveniles migrate to lagoons and backwaters for growing. It is a voracious carnivorous fish. However, the juveniles are omnivorous, feeding mainly on crustaceans and other small fishes. Seabass attains maturity at the age of 3-4 years at a length and weight range of 60 to 70 cm and 2.5 to 4.0 kg respectively. Males are generally small and in the size range of 2.0-3.0 kg and the males convert into females as they reach a size above 5.0 kg. The fecundity is between 2.1 to 17.0 million depending upon the size of the fish.